It's almost Christmas in the small English village of Finch--and everyone is sick. Though many of the villagers regretfully decline their invitations to Emma Harris's annual Christmas bash, Lori Shepherd has no intention of missing it. When the winter weather takes a turn for the worse, it's agreed that none of the guests will leave until morning. There's general merriment as the Christmas party becomes a pajama party--until a car appears in the winding driveway and promptly slides off the slick pavement and into a ditch. 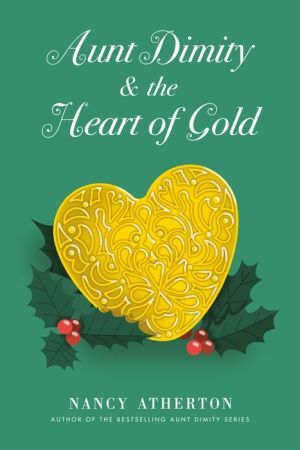 With Aunt Dimity's otherworldly help and Tilly's bewildering store of knowledge, Lori and friends set out to unravel the mystery behind the heart of gold. And, against all odds--and Christmas finally comes to Finch!